A jar of lotion containing jasmine essential oil. Jasmine essential oil is sometimes used to enhance the flow of breast milk. Jasmine essential oil is derived from the jasmine flower. It originally was from Asia and Africa, and after it was introduced to Europe, it quickly became a favorite among perfumers and had a host of practical medical and cosmetic applications. The jasmine flower's delicateness requires that its essential oil be derived with the utmost care under the practice of enfleurage. 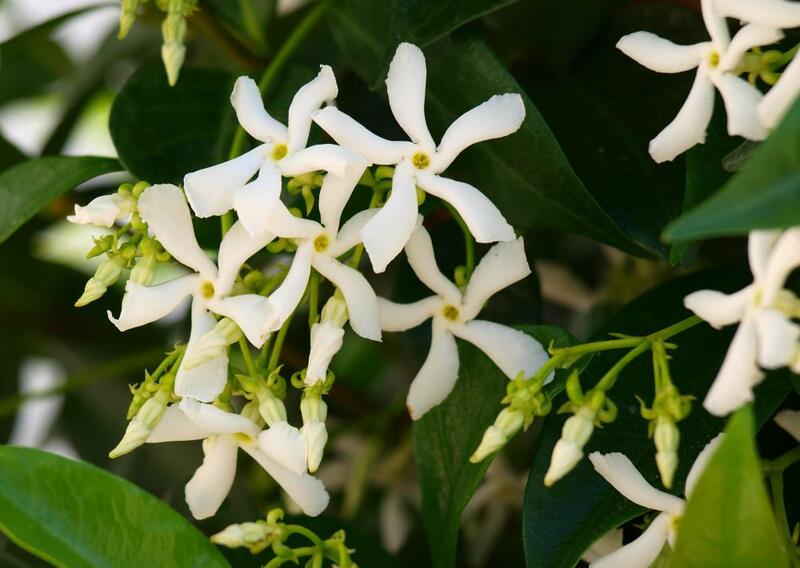 Jasmine smells sweet and flowery without the harshness of chemical solvents. Many people attribute an exotic quality to the scent, and both sexes can find the scent appealing for personal use. Its color can be amber-like. The common species Jasminum grandiflorum is often used to make essential oils, but other species, such as Jasminum officinale, also can be used. Jasmine essential oil has a reputation for being expensive; the price for the essential oil increases along with the rarity of the jasmine species used. The benefits of using jasmine essential oil are many. People who use this essential oil often feel relaxed and calm. 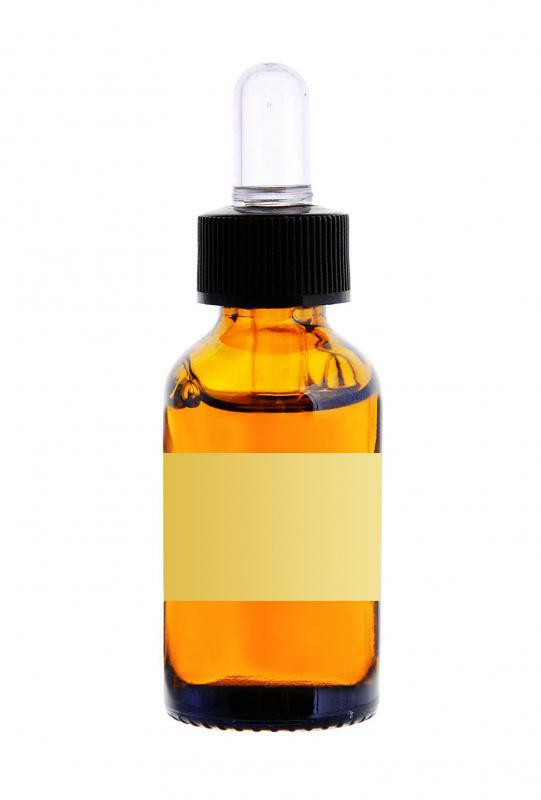 Some report experiencing medical benefits from using jasmine essential oil. The oil is purported to lift depression, soothe coughs, improve skin elasticity and alleviate sexual problems. It even can be used as an antiseptic and anti-spasmodic, among other things. The oil derived from the jasmine flower often is referred to as the "woman's oil" because of its many potential uses among women. Historically, the oil has been used to aid childbirth by relieving labor pain. It also has been used to regulate menstruation, relieve the problems associated with menses and delay menopause. Some women use it to increase the flow of breast milk. Certain women looking to prevent breast cancer or tumors might apply jasmine essential oil on their breasts. Similarly, this essential oil also is used to promote uterine health. Some individuals report that using jasmine oil can help balance hormones, in particular estrogen. This can be beneficial to those who suffer from hormone imbalances or those who undergo hormonal changes as a natural part of life, such as with menopause. It can help relieve symptoms associated with monthly hormonal changes because of the beginning of menstruation by reducing or eliminating fatigue and nausea, for example. Women also might use jasmine oils to help reduce the appearance of stretch marks. Jasmine essential oil can be used as a base note for perfumes or as a base for essential oil blends. It can provide a great foundation for fragrances or scents that are designed to develop over time. 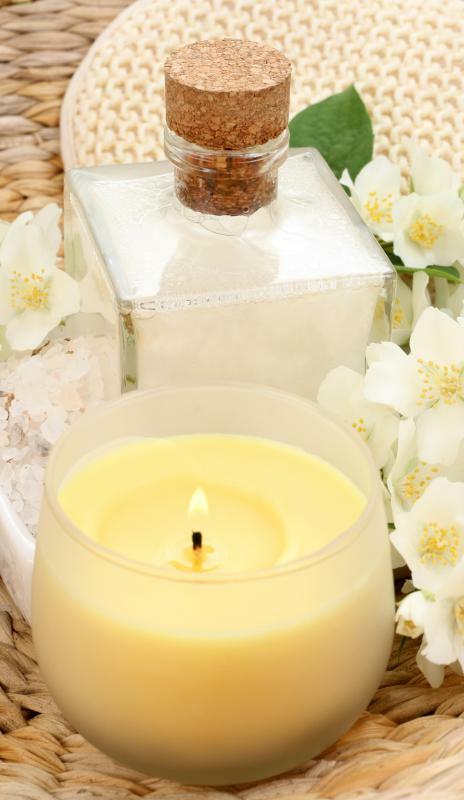 Jasmine can work especially well in blends that contain vetiver, sandalwood and sweet orange. How Do I Choose the Best Blended Oils? How Do I Choose the Best Jasmine Perfume? @seag47 – I've heard that the plant itself is toxic to dogs, so I would assume that the essential oil is. I was thinking of doing some indoor gardening, and I recently got a list from my vet of all the plants that are toxic to dogs, because I live in an apartment with my Doberman. I was sad to learn that jasmine is bad for dogs, because I was going to attempt growing it in a pot. My friend succeeded at this, and her house smells wonderful! Surely, you have a place where you could lock up a vial of essential oil to keep your dogs from getting it. I got a vial once I learned I couldn't grow the plant around my dog, and I keep it up high in the medicine cabinet. Does anyone know if jasmine essential oil is toxic to dogs? I have two dogs that live inside, and I hate having anything in the house that they could harm themselves with. They are curious puppies, and they have gotten into everything from my makeup to the dish soap. I would love to try out jasmine essential oil on my stretch marks, but I wouldn't do so at the risk of hurting my puppies. There is no blissful scent equal to that of jasmine, in my opinion. It is the ultimate aromatic experience, and if I encounter this scent somewhere, I have trouble leaving the area. So, I was very pleased when my husband bought me some jasmine essential oil for my birthday. There were so many ways that I could use it, and I knew that I wanted to put it on myself so that I could experience it all day long. 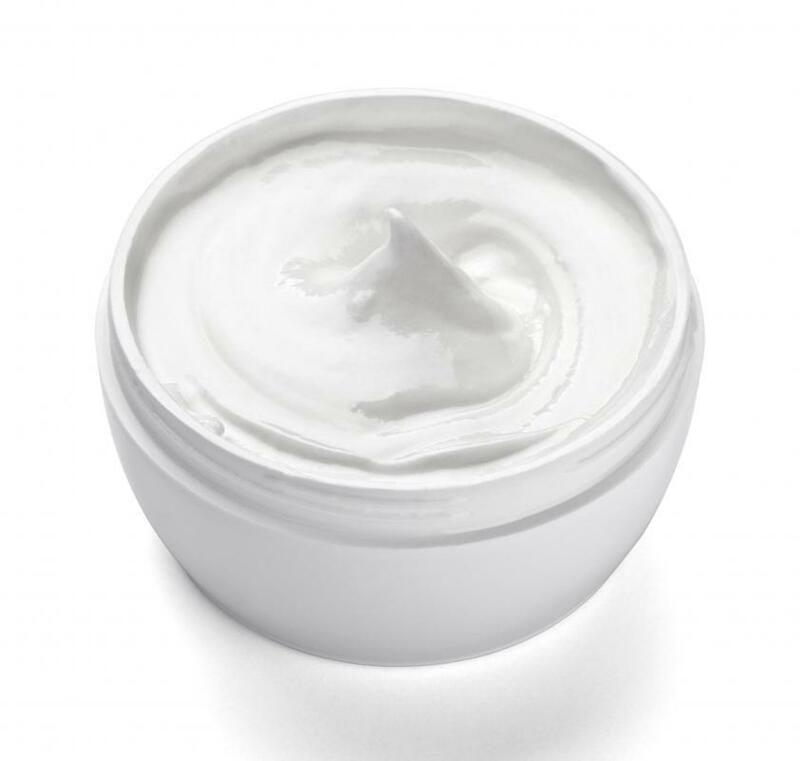 I have a non-scented moisturizing cream that I mix with the jasmine oil. It has become my favorite perfumed lotion, and I use it nearly every day. I have had many compliments on my perfume, and I tell people that it is homemade. I find that jasmine and sandalwood essential oil blend well. I absolutely love the aromas of both, so the two combined make for a euphoric experience. I use the two together in a diffuser to lift my spirits, but if I need the jasmine for physical ailments, I put it in my bath water. I have been known to add a couple of drop of rose oil in there along with it, because they also blend well. Jasmine seems to ease my menstrual cramps. It works out that bloated, tight feeling I get in my abdomen around that time of the month, so I take a bath infused with the oil every day during my cycle. @ddljohn-- I find jasmine essential oil too strong to wear directly on my skin. But I don't mind using it for health reasons while I'm home. My sister makes soap at home and she has a jasmine soap with jasmine essential oil. She told me to use this soap when I have allergies or have a stuffy nose. I have and it's not bad. Maybe it's the combination of hot water steam and jasmine essential oil, but it does help clear up my air ways a little. But I could never put on jasmine essential oil and walk around with it all day. I don't like this scent enough to do that. @burcin-- Yea, one of the most important jasmine essential oil benefits is its comforting, calming qualities. It's recommended to people who are dealing with depression, low-self esteem and pessimism. Plus, it's so easy to find it. Many natural health stores carry it, so do many stores online. And jasmine is pretty abundant so the chances of being duped into buying fake jasmine essential oil is almost nonexistent. whiff of my wrist and feel better immediately. Just one precaution though, jasmine essential oil is pretty strong. So you only need one drop at the most when you use it this way. You don't want to overdo it because it can be distracting and annoying to people around you. I've never thought of using jasmine oil to add fragrance to hair products, but that's a great idea! Jasmine essential oil and essence is really popular in India. I went there last summer and jasmine flowers and jasmine oil products seemed to be everywhere. Indian women like to adorn their plaits with fresh jasmine flowers, so when they walk around, you smell jasmine in the air. They buy them fresh daily from the flower sellers and put it in their hair. Maybe for that reason, I find the scent of jasmine to be feminine. But I also noticed when I was in India that jasmine is very comforting and soothing. can't sleep. I also have a pure jasmine essential oil perfume and coconut oil with jasmine oil in it. Coconut oil is used to moisturize and strengthen hair in India. But since pure coconut oil doesn't smell too great, some coconut oil products now have jasmine essential oils in them. The one I have smells pretty good, an oriental jasmine and coconut combination.